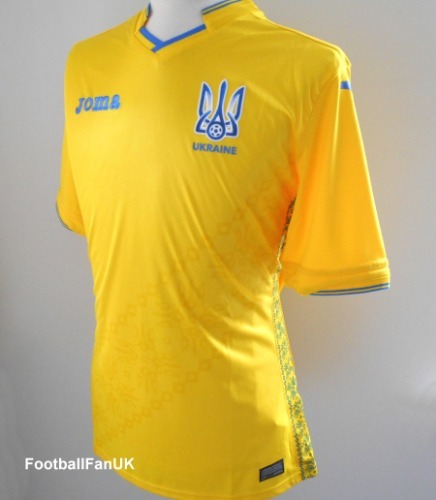 This is the official Ukraine home shirt from Joma, for the 2018/19 season. New with tags in Joma packaging. We are an official Joma supplier, so you can purchase with complete confidence. - Diagonal graphic across front of shirt. - Ukraine printed at back of neck. - We are an official Joma supplier. - Adult size Medium. Chest 40", length 29".